"A different perspective on New York City"
“I love New York, even though it isn't mine, the way something has to be, a tree or a street or a house, something, anyway, that belongs to me because I belong to it.” ― Truman Capote Throughout literature and cinema, writers have brought cities they love to life and make them a character within their imaginative worlds. Within the script of The Only Living Boy in New York, each neighborhood is given its own personality and is even allowed to prove that each is allowed to change and mature over the years. The residents that inhabit the apartments and penthouses of each borough live in this symbiotic relationship that is continually evolving. The names are constant, but their identity remains in a perpetual state of fluctuation. The city of New York becomes part of the unfolding narrative and manages to complement this twisted little story that occurs within its borders. Throughout the ebb and flow of the streets of the heart of this city, Thomas Webb (Callum Turner) feels like he is adrift and is trying to find himself. Even though he has graduated from college and has all of his life before him, he is unclear on life’s next step. Part of this change includes trying to get out from under the influence of his publisher father (Pierce Brosnan) and his loving, but the long-suffering artistic mother (Cynthia Nixon). 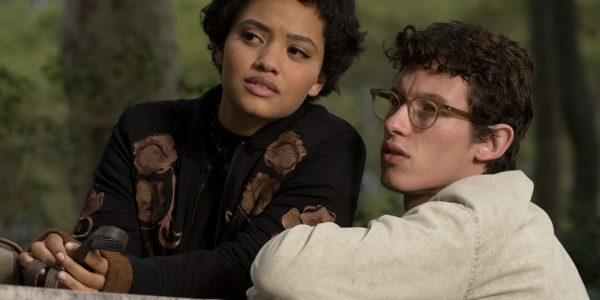 To replace their power over his life, he first tries to find solace in his platonic relationship with Mimi (Kiersey Clemons), but when she pushes him into the friend corner, Thomas finds himself looking at life’s proverbial brick wall with confusion and disbelief. Then a new neighbor moves into a flat above his Lower East Side flat and W.F. Gerald (Jeff Bridges) quickly becomes the mentor he is looking for during his search for meaning. While he wallows in this time of perceived instability, the young man discovers that his father is having an affair with a younger woman (Kate Beckinsale). Thomas has to determine if he is going to challenge his father as he hurts his mother, confront the mistress in his anger or just allow his life to continue to spin out of control. With infidelity at the heart of this story and the central character suffering through a modern day Oedipus complex, this script has all of the earmarks of bad taste. Then as the story unfolds, these seemingly two-dimensional characters begin to develop into a bizarrely fascinating network of personalities that represent the change of the city that surrounds them. As Jeff Bridges channels a more mature ‘Dude’ (The Big Lebowski) persona, his inclusion becomes the catalyst for the whole story to grow. Each chapter develops into something intriguing and engaging over the duration of the screening. Director Marc Webb follows up his recent family drama, Gifted, with a film that proves he has more to say artistically to audiences. This production is messy and contains content that causes a suspension of reality, but the twisted tale does deliver something of value that is vivid and raw. In amongst the plot holes, there is an unanticipated number of rich characters to drive the story through the lanes and alleys of the city. Besides Bridges performance, this was one of the best Pierce Bronson roles in years. He shows that within his poor relational choices, he is merely trying to reach out and love his son. 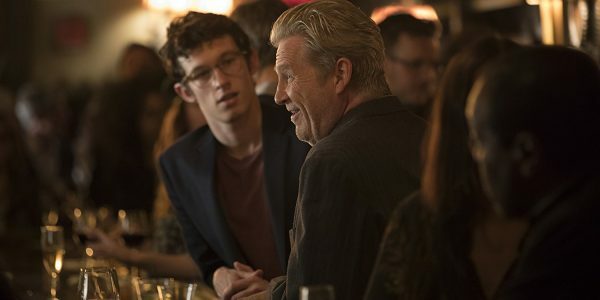 This is supported by Beckinsale and Nixon, who lend the necessary maturity that grants Callum Turner a steady platform to grow and stretch his coming-of-age character. The Only Living Boy in New York’s incremental appeal is surprising and disarming. The content is hard to stomach at times, but the progression of each character will keep the audience engaged until the end. It does not finish with a fairytale ending, but this salvages the potential sweetness label that Webb’s film could have worn and delivered a satisfying conclusion to a potentially messy script.